What are the benefits of sealing? Sealers allow for the improved cleaning ability of the surface. Staining is reduced, and any spills that do occur are more easily removed or fixed. When the correct sealer is used on new surfaces it may also aid in curing the concrete. What happens if concrete is not sealed? 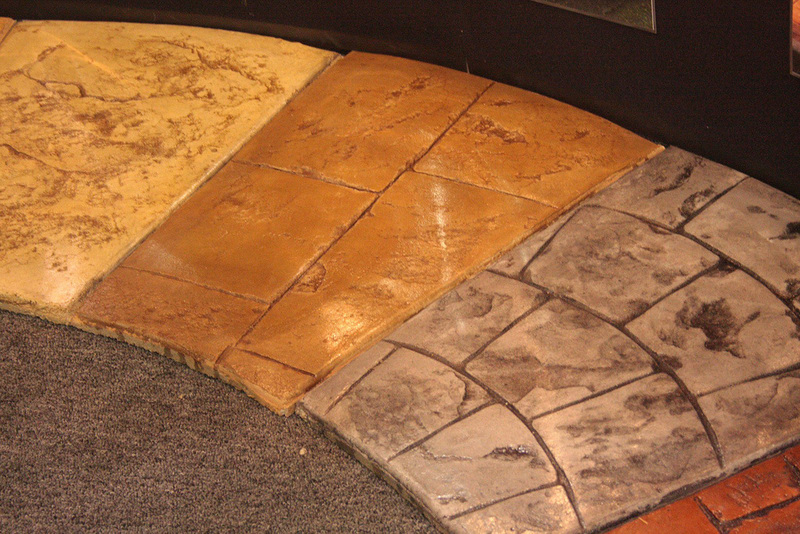 All Un-sealed decorative concrete surfaces will weather and deteriorate prematurely. If you have any Un-sealed concrete or aggregate it will stain more easily. Sealers, don't allow outside contaminants to penetrate or absorb into concrete and makes surfaces easier to clean or fix than unsealed concrete. Resealing will be necessary when signs of wear or weathering become apparent (this may include flaking, peeling or "patchiness"). The most common sign of wear or weathering is when the concrete appears "faded" but darkens when wet. Staining concrete is one of the most popular applications for transforming any concrete area into art. Once referred to as colored concrete, homeowners, designers and builders are now drawn to stained concrete because of the unique outcome that can be achieved: Combining colors, application techniques, etc., on cement flooring and other substrates, will create unique textures. What to expect from Staining Concrete. Because of concrete's porous qualities and neutral tone, it is the perfect blank canvas for topically applied color. Using acid-based chemical stains, decorative concrete contractors have been able to achieve rich, earth-toned color schemes resembling natural stone, marble, wood, or even leather, giving a completely custom look to cement floors, concrete driveways, patios, walkways, pool decks, concrete walls and more.